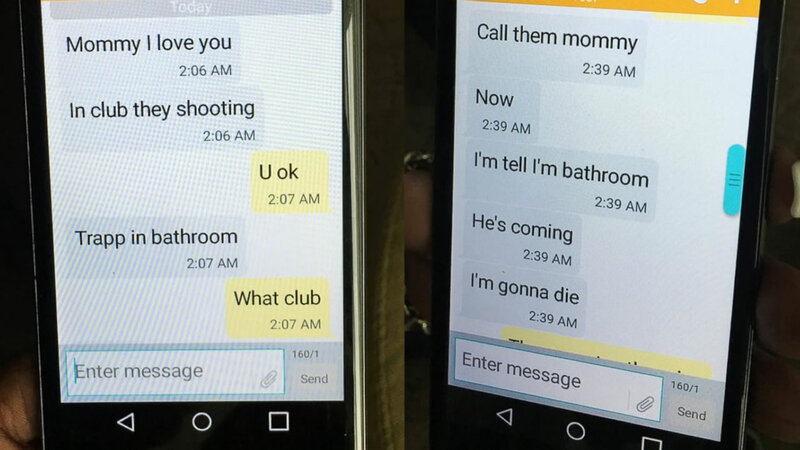 ORLANDO, Florida -- Mina Justice was sound asleep when she received the first text from her son, Eddie Justice, who was in the gay nightclub when a gunman opened fire in an attack that left 49 patrons dead and more than 50 wounded. She knew he was gay and at a club - and all the complications that might entail. Fear surged through her as she waited for his next message.